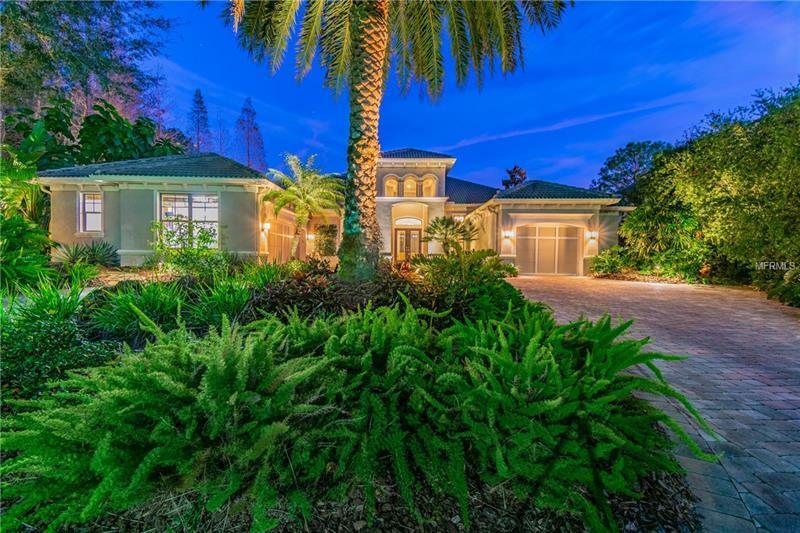 Exquisite semi-custom Taylor Morrison home in the gated Mar Azul village of GATED Waterchase. This lovely home boasts 4 Bedrooms, 4.5 Baths, Office/Study + extensive outdoor oasis with Pool & Spa + Outdoor Summer Kitchen on expansive .34 acre lake side lot in cul-de-sac. This home hits all the check marks on your âperfect homeâ list. Gourmet Kitchen boasts 42â wood cabinets with 30â Uppers for extra storage w/Kitchen Aid appliances inc. 6 Burner Gas Range, Vent Hood, double oven/convection microwave + Sub Zero Fridge/Freezer combination, Wine Cooler; GRANITE counter tops & Prep Island. This home is just an entertainerâs dream â a Master Retreat on one side with 3 Full Bedrooms & 3 Full Baths + Powder Room. In addition to the Office/Study thereâs a fabulous Master Suite w/Sitting Room, fireplace + Spa-Like Master Bath. Youâll delight in the 12â ceilings, tray ceiling, art niches, custom lighting fixtures, extensive, custom surround sound Sonos system & to die for Entry and backyard. Situated on a private cul-de-sac, youâll be memorized by the views as you walk through the front door and out onto the Patio & Pool Area. Large, undercover Lanai Area includes a Summer Kitchen, plenty of entertaining space and double-sided fireplace for time with friends & family. Throw the perfect evening get together or family celebration in this private yet large outdoor space. Upgrades are just too many to mention. Ask for the Feature Sheet & Check out the 3D tour & dollhouse views of the floorplan. Flood Ins. not required.